The early era of Dungeons and Dragons didn’t quite have the unified backstory of today’s games. While the mechanics were all in place, there wasn’t a true world in which players could play. As such, the designers made a series of background settings that would allow players to populate their own worlds. The most popular of these settings was the world of Krynn, in a setting that would come to be called Dragonlance. Dragonlance itself is a curious mix of high and low fantasy. While magic is certainly very prevalent, there’s still a lot that you’d expect to see from a sword and sorcery novel in the universe. In that way, it seems, the universe is very representative of early Dungeons and Dragons. It features a level of depth that’s not terribly common in the role playing universe, though, and the world built here is one that doubtlessly influenced generations to come. 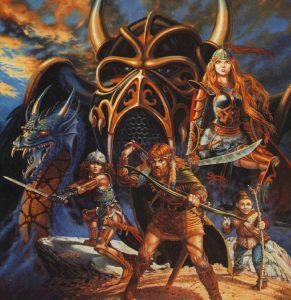 Perhaps the true testament to the importance of the world of Dragonlance is that it quickly outgrew Dungeons and Dragons. There are arguably more people who have read the novel than ever played one of the Dragonlance D&D modules. Despite its humble beginnings, the world of Dragonlance has become something truly special. Dragonlance takes place on the world of Krynn. The stories have primarily taken place on two continents, Ansalon and Taladas. Beyond those two locations, precious little is known about the world. What’s more important than the geography has always been the numerous races who live on the world. The most common race on Krynn is that of the humans, who are much like humans in any other fantasy setting. Also fairly common are elves, dwarves, and gnomes. Krynn is set apart from the other D&D settings by the prevalence of kender and minotaur, two races that are significantly more rare in other game worlds. The races interact, trade, and sometimes war with one another. The world is also inhabited by chromatic and metallic dragons. The former are evil, while the latter tend to be good. As the story progresses, the number of these dragons wax and wane. Nonetheless, they play an important role in the setting. The gods of Krynn are not as plentiful as in other fantasy settings. There is a single High God, but most dealings are done with his three children. Paladine is the Good god, Takhsis is Evil, and Gilean is neutral. There are also three unrelated moon gods, Solinari, Lunitari, and Nuitari. Clerics get their power from the former gods, while wizards get their powers from the latter. The Dragonlance setting has progressed through favor major epochs of Krynn’s history. These are known as the Five Ages of Krynn, and each is marked by a specific set of events. 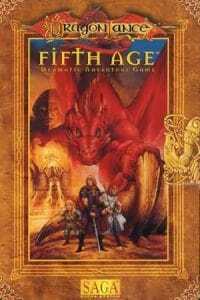 The majority of Dragonlance’s history in the books and games have taken place during the Fourth and Fifth Ages. The first age of Krynn was the Time of Creation. It is during this era that Krynn was created, and the gods were born. Relatively little is known about this time, and it doesn’t feature heavily in the novels. The second age of Krynn is the Age of Dreams. This is when the first civilizations were created and the new races started to spread across the face of the world. It is in this era that mortals really start to become a force on the planet. There will be three great wars between dragons in this era. Then end of the Third Dragon War ushers in the end of this time period. Next comes the Age of Might. A great cataclysm completely changes the surface of the world and destroys the world’s great empire. It is a horrific event that greatly informs the years to come. The fourth age is the Age of Despair, which is also the age in which the War of the Lance occurs. The novels and D&D modules take place in this era and the following era, the Age of Mortals. Though the series are named for the titular Dragonlances, they’re actually not as important to the overall story as you might think. While not terribly common weapons, they do show up at multiple points in the story. They are clearly influenced by the weapons used by saints in European stories of dragon slayers, and thus play a fairly familiar role in the setting. Dragonlances are holy weapons created to kill dragons. Dating back to the end of the Age of Dreams, they were the only weapons that mortals could actually use to kill dragons. They’re rare weapons, as they require the use of god-blessed artifacts to create. There are Greater dragonlances, which are made with two artifacts, and Lesser dragonlances, which are made with one. Dragonlances come in two size varieties. Footmen use smaller lances, which are about eight feet long and can be used while on the ground or on horseback. There are also much larger lances which are wielded while on the back of dragons. The function of the weapon in either case is the same. 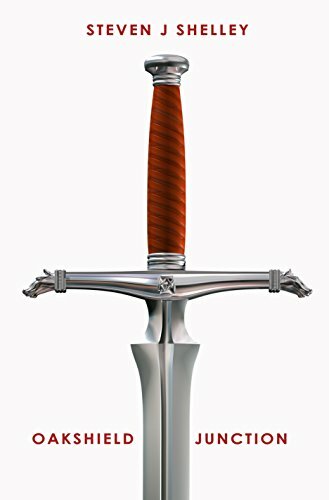 These weapons are perhaps most important because they lend their name to the setting. As the story doesn’t always involve dragons, though, they don’t show up quite as much as one might expect. The Dragonlance series is by far best known for its series of wildly successful fantasy novels. Published from the mid-1980s through the 2010s, the novels have created a wide ranging universe that has followed several characters and seen the world change significantly. The Dragonlance series is written by a number of authors. 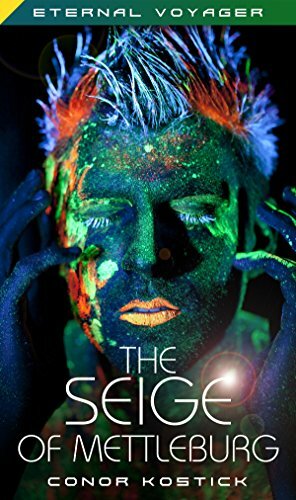 Margaret Weis and Tacy Hickman can and should be considered the primary authors of the series, as they are largely responsible for writing not only the “main story” of the universe but also editing many of the anthologies. A truly astounding number of other authors have written stories in the universe, though, often expanding on the main plot. The Dragonlance stories began by following a group of Companions, including Tanis Half-Elven and the Majere brothers. The books moved through the War of the Lance, the Blue Lady’s War, the Chaos War, the Dawn of the Fifth Age and the departure of the gods from Krynn. There are literally dozens of novels, most of which either explain back story mentioned in the main books or expound upon the lives of secondary characters. The books have been published for decades, but do maintain a relatively tight continuity. Here’s information on some of the novels. By Margaret Weis and Tracy Hickman. By Margaret Weis and Don Perrin. This series fills in the gaps in the Chronicles trilogy storyline. By Paul B. Thompson and Tonya C. Cook. We’re working on a full list of Dragonlance novels that will be finished soon. Meanwhile, let’s look at some of the people and dragons you’ll meet in the books. It wouldn’t be Dragonlance without dragons. These three creatures are characters with their own wants and desires, though their connection to the major cast is what makes them so important. While dragons have always been a huge feature of Dungeons and Dragons, they were never so important as when they were featured in Dragonlance. Skie is a gigantic blue dragon who also goes by the name of Khellendros. As a chromatic dragon, he was naturally drawn towards evil and fought on the side of Takhsis during the War of the Lance. He served as Kitiara’s mount during the war, even though he would later go on to turn away from Takhsis. Indeed, his decision to turn away from the worship of the evil god would lead to his eventual mortal wounding. His death was brought about by the great dragon overlord Malystryx. It was something of an bitter end for a dragon that had formerly showed so much strength and promise. Skie was not native to the world of Dragonlance. Instead, he was brought over alongside many other alien dragons during the War of the Lance. The alien dragons would prove to be very important during that war, and their presence (and lack thereof) would remain an issue during the ages to come. Skie’s death showed that these dragons very much had their own agendas, even if they were nominally under the control of the evil god. As a character, Skie allowed readers to keep guessing as to where the dragons’ real loyalties lay and how they would react to various events in the books. As her name might suggest, Silvara was a silver dragon. She did, however, generally prefer to take the form of a Wilder Elf. This put her in more direct contact with other races, including the Qualinesti. Perhaps her connection was in the blood, though – she was the sister of Gwyneth, the silver dragon who had bonded with Huma. It was not much of a surprise when she both attracted the attention of Gilthanas and eventually fell in love with the Qualinesti. Their adventures together proved to be quite important in the overall scheme of things, even if they were not always in the spotlight. Silvara managed to accomplish a few major things in the story. She was largely responsible for helping make sure a Dragon Orb was liberated from a Qualinesti settlement. She was also involved in the secret mission to find out what the Dragonarmy was doing with the good dragon eggs. Though her page time is limited compared to some of the other characters – or even dragons – those two adventures helped to give her an important spot on the roster of heroes in the novels. 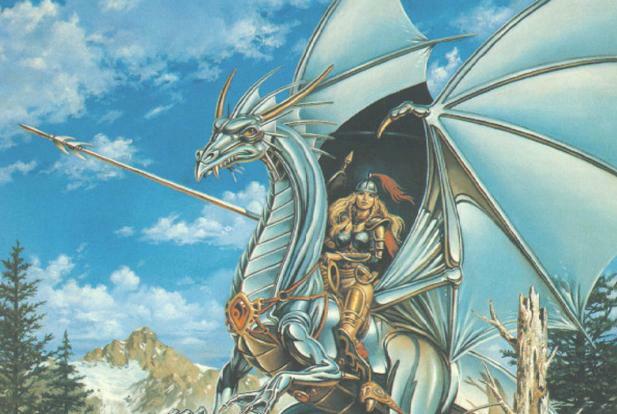 Silvara was one silver dragon that truly became an important part of the Dragonlance universe. With a name like Malys, you know that this character was up to no good. Malystryx was a great red dragon, the largest and the most powerful of all the Dragon Overlords. She was one of the first dragons to build a skull totem, one of the first dragons to present a true threat in the novels, and one of the major figures in the lore of the story. She was an alien dragon, one that seemed huge but that was actually quite small for her own world. Malys was able to look at the world as one that could give her many new opportunities. Malys was a primary antagonist of the Dragons of a New Age trilogy. In this era, she attempted to become a god. She was eventually defeated by the Heroes of the Heart, killed by Mina over the city of Sanction. Though she fell, her presence was still very important to the books. She may not have lasted for as long as some of the major antagonists, but she still played a very central role. This is one dragon that changed the face of a world. Without her, the books simply would not have been the same. Verden was a green dragon, born small but growing larger soon after birth. She was a dragon who was an expert at subtlety and subterfuge, playing a major part in the fall of the city of Chaldis. Invading with the Dragonarmies, she was left for dead by her enemies and eventually helped the Aghar during the War of the Lance. For her service, she was set free to pursue a new life – one that would, sadly, be rather short-lived. Unfortunately for Verden, things went poorly after the War. She was rejected and killed by Takhsis, only to be reborn in order to serve the Aghar. During this next life, she ended up protecting a pair of gully dwarves and eventually began worshipping Reorx. This proved to be a turning point in her life, and her dedication helped to her to save her charges and even stop a war. By doing so, she was finally freed for the first time in her life and was in charge of her own destiny. She lost the remainder of the green coloring of her scales, moving from a chromatic dragon to a metallic dragon. Her future would be hers alone to determine. Beryl, also known as Berylinthranox, was a large green dragon. Like most of her kind, she was quite evil. Her particular vice was for magical artifacts. She believed that she could use these objects to augment her own power and help her to further climb up the ranks of the dragons. She was ruthless in her pursuit of these objects, even to the point of torturing others for information. One such individual tortured was Palin Majere. Not finding torture enough, Beryl was also responsible for the destruction of the Academy of Sorcery. Like most dragons, Beryl’s pride ended up being her downfall. She ended up attacking Qualinost, which proved to be much more of a challenge than simply attacking the Academy. She is notable for actually being slain by one of the titular dragonlances. Beryl met her end when Laurana killed her, bringing the threat of the dragon to an end. Regardless of how she died, Beryl still showed that there was a possibility for dragons to use more than just might to be a menace. Her obsession with magical objects was a superb change in the way that dragons looked at power. She simply fulfilled the usual tropes by seeking a new type of power. Cyan Bloodbane (also known as K’Rshinthintl) was a gigantic green dragon who lorded over Silvanesti during the War of the Lance. This was the dragon who mentally enslaved King Caladon, as well as the dragon who was skilled enough to create his own nightmare realm. His sheer power was mind-boggling, but that didn’t free him from the usual curse of dragons – pride. Though he preferred to scheme, he still found himself fighting with a red dragon. While he won the fight, he lost the war – the dragon was a favorite of Takhsis, and Cyan found himself imprisoned. Cyan was trained in magic by Galan Dracos, who taught him how to deal with mortals. After Galan, Cyan entered into perhaps his best known partnership – his partnership with Raistlin Majere. He served Raistlin until the death of the latter, at which point he decided to return to the Silvanesti. He intended to bring about the end of the SIlvanesti, until his ruse was discovered and he was shot down by archers outside of the city. His death was unconfirmed, but he never appeared again after being shot down. He didn’t have a particularly noble end, which fit well with how he lived his life. The Draconians were a human-sized dragon race, created from the experiments of Takhsis. The initial draconians were created by corrupting the eggs of metallic dragons, stunting their growth and making them into incredibly obedient soldiers. To a man, these original draconians worshipped evil and worked as soldiers in the ranks of Takhsis. They ended up as the crack troops of the Dragon Overlords during the War of the Lance, and they came equipped with a single deadly attack that could be used at the end of their lives. Not all draconians were evil, though. By the end of the War of the Lance, dragonarmies became desperate and began to use their rituals on the eggs of evil, chromatic dragons. The draconioans that emerged from these eggs would be called Noble Draconians and tended to have Good traits. The vast majority of these Noble Draconians were destroyed shortly after their birth, with a few surviving through the end of the War of the Lance. It is unknown what would happen to these creatures of Good. 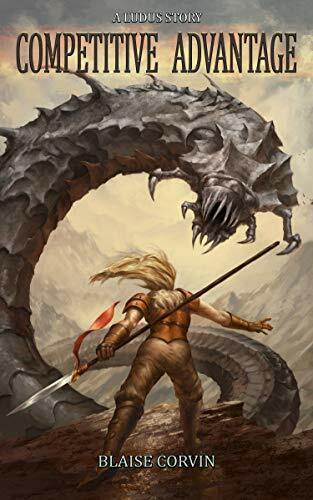 Fenalysten, a two hundred foot Red Dragon also known as Cinder, was a a dragon of Krynn who was, by all accounts, far too ambitious for his own good. Cinder was initially earmarked to be a leader of the Red Dragons, but jumped into the fray early and began killing the competition. This soured his reputation among his kind and the mortals that surrounded them. He’d eventually become a minor dragonlord in his own right and enslave many. Cinder was killed after an ill-advised attempt to expand his territory. He was taken down by a band of adventurers, some of an ultimate insult for a dragon of his stature. Cyan was a great and cruel green dragon, one who was better known for his cunning than his actual strength. When he did fight, however, he tended to get the short end of things. While he defeated a red dragon in the War of the Lance, he still ended up imprisoned. Cyan was the dragon who created a nightmare real while controlling King Caladon, and he was the dragon who served Galan Dracos. He was also a dragon who favored the form of an elf, in which he served Raistlin. Like so many other dragons, Cyan met his end because of overconfidence. His death was not confirmed, but he wasn’t see after being shot down by archers. Darlatan was a silver dragon and the main character of The Dragons, a book that detailed the return of the dragons to Krynn. Best known for conflict with the reds, Darlatan had a more sympathetic viewpoint than most of the other dragons in the series. While far from perfect, it would be hard to label him as evil. He was a refreshing attempt at creating a dragon character who didn’t fall prey to the vices of the others in the story. 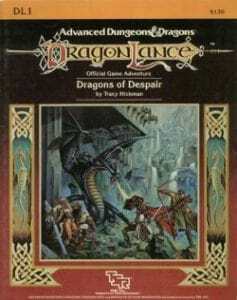 Dragonlance began its existence as a campaign setting for Advanced Dungeons and Dragons. It managed to survive the update to the second addition of AD&D before going its own way. It is a testament to how important the settings were to early Dungeons and Dragons, especially before the game more or less unified the world into that of Forgotten Realms. Dragonlance arguably created one of the most important shared worlds in tabletop roleplaying. While it may not be quite as prominent today, it still greatly informs the way that RPG worlds are created. Players have come to expect the level of depth that Dragonlance introduced. Dragons of Despair was the first Dragonlance module. Relatively simplistic by today’s standards, it nonetheless helped to create a new universe. Based heavily on the story of the first few Dragonlance novels, it was an amazing leap forward in game design. It was successful enough to launch an entire series. While the game play of the module was praised, reactions were mixed. Players were given very definitive direction and the prose was somewhat laughable. Still, it is the best regarded module in the series. This is the only Dragonlance module to rank as one of the Top 30 D&D modules of all time. A true sourcebook for Dragonlance, this is the game that helped players really explore the world of the first time. It was a guide for Dungeon Masters who wanted a chance to explore the world with their players, and thus included everything from detailed information about races and geography to a full cosmology for the world. Fairly well received, this game was a major part of AD&D. Not only did it have magic users that were akin to those seen in the revision to AD&D, but player characters would be on a more D&D-like alignment chart. With a bit of work, one could even import characters from other D&D settings. A remarkably popular setting, it was a strong rival for Greyhawk and was beloved even into the era of Forgotten Realms. In 1996 Dragonlance moved away from the standard Dungeons and Dragons dice system into the SAGA card system. Also used in a few other games, it was meant to be quicker and less cumbersome than AD&D. Dragonlance’s move was largely successful, though it brought about the beginning of the end of the saga’s connection to D&D. Reviewers largely loved the new system and settings. The game could be played easily and the new setting was a leap forward for the universe. While there were some complaints, reactions seemed to be mostly positive among the player base. After TSR was bought by Wizards of the Coast, a new edition of Dungeons and Dragons was introduced. Dragonlance would be updated one last time to work with this system, but that was the end of the relationship between D&D and Dragonlance. Wizards of the Coast turned over the rights to Dragonlance to writer/creator Margaret Weis after the third edition update. From that point forward, Sovereign Press would be responsible for Dragonlance game materials. This brought about the end of a lengthy relationship between D&D and one of its earliest campaign settings. Wizards of the Coast still owns the fiction rights for Dragonlance. Many fans would love a LitRPG Dragonlance novel. Given the popularity of Dungeons and Dragons in the video game world, it should come as no surprise that there were quite a few popular Dragonlance video games. 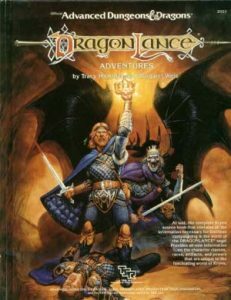 Mostly confined to the PC, these Dragonlance role play games were nonetheless very popular among a certain segment of the gaming population. Heroes of the Lance (1988): A side-scrolling action game that pulled stats directly from the D&D books, the game was a remarkably faithful adaptation of the first book. While a little different from most D&D games, it was an incredibly successful game in its own right. The NES port, though, is considered one of the worst games ever made. Dragons of Flame (1989): A continuation of the first game and heavily based on the D&D module of the same name. It was successful, but not regarded very well by critics. It was considered to be a lackluster side-scroller, especially when compared to the Gold Box Dungeons and Dragons games. War of the Lance (1989): A top-down strategy game. The player controls Whitestone against the forces of the Highlord. Unlike the other games, this one was largely a commercial failure. It was, however, a considerable critical success. It is still considered a relatively fun game to play, despite by the incredibly dated graphics and clunky interface. Dragonstrike (1990): The first Dragonlance game to really feature a dragonlance. This game was a hybrid of a flight simulator and role playing game. Players were on the back of a dragon, fighting evil dragons and other flying creatures. The game took place during the War of the Lance, but the plot was more of an excuse than anything else. Very well regarded by critics, but virtually ignored by players. Shadow Sorcerer (1991): The sequel to Dragons of Flame, this was another side scrolling game. Probably the best regarded of the early AD&D action games, it was nonetheless not terribly successful in terms of sales. It was considered an improvement over the older titles, though, and a huge step above the other games in the series. Champions of Krynn (1990): This was the first real Dragonlance RPG game. A Gold Box game, it required players to make a character before venturing out into the world. It received five out of five stars when reviewed, though reviewers did note that the game felt a little dated even at the time. Still, it was the most successful Dragonlance game so far. Death Knights of Krynn (1991): Sequel to Champions of Krynn. Many reviewers felt that it was just more of the same, despite some significant system improvements. Considered to be the tenth best D&D game of all time. The Dark Queen of Krynn (1992): Third game in the trilogy, following Death Knights of Krynn. Had improved graphics, but was savaged upon release. The game was considered buggy and a huge step backwards. There was little to love about this game, and it sold about half the copies of the first in the trilogy. MUSH game DragonLance: A long-running MUSH that takes place during the War of the Lance. A bit harder to get into than most of the games on this list, but it’s probably more faithful to the setting. A huge hit among fans of the genre. In 2008, Dragonlance: Dragons of Autumn Twilight was released. Based on the first book of the series, it sported a truly all-star cast. It was released as a Direct to Video film and was distributed by Paramount. The film was not at all well-received, despite the voice acting talent involved. The entire first novel was condensed into a short ninety-minute running time, and the animation was tired to say the least. It is widely considered to be one of the worst animated fantasy films of the last two decades, and its failure put hold to any plans to adapt the rest of the novels into an animated format. There are currently no other plans to adapt Dragonlance, though co-creator Tracy Hickman does have high hopes. He considered the animated film to be the first step towards bigger things. For now, only time will tell. If you want to share your knowledge of the Dragonlance universe or other RPG Legends, be sure to stop by the LitRPG Forum and sign-up for an account. You’ll find a lot of like-minded individuals who love remembering the best fantasy in their past while also looking for new worlds to love.